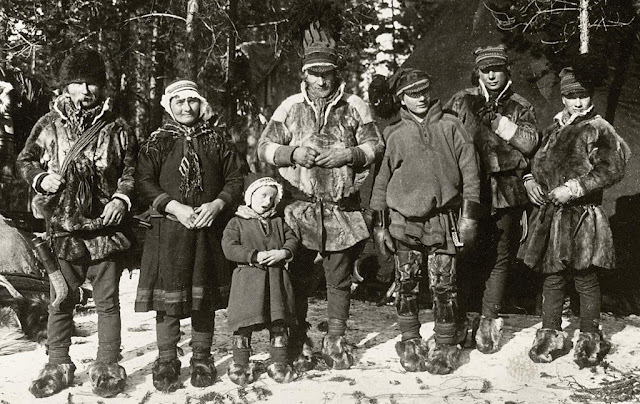 The Sami people originally come from a region called Sápmi. It encompasses Parts of Northern Norway, Sweden, Finland, and Western Russia. Over time, as conflicts and decisions were made over national lines, farming, and other industries, Sweden has passed policies regarding the Sami people, more specifically: reindeer husbandry. These policies are attempts at balancing reindeer husbandry with other forms of farming, restricting migration across national borders, promoting the state standards for efficiency, and other forms of manipulation of Sami reindeer herding traditions and Sami culture. These policies heavily influence land rights through defining Sami identity and restricting self-determination. For example, defining Sami as exclusively nomadic gave the state the ability to relocate them and remove land ownership (Lantto 2014) (Lantto & Mörkenstam 2008). 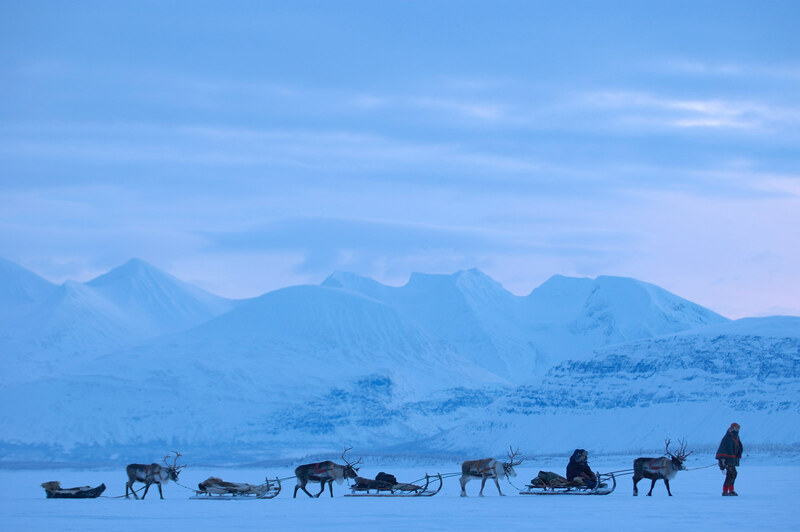 The "Ideal Sami": A reindeer herding, nomadic Sami. Someone whose parents and/or grandparents were reindeer herders.